While the political crisis in Iraq continues to ebb and flow through various degrees of ill, violence has risen significantly enough that many Iraqis who worked with U.S. forces increasingly fear for their lives. Monday’s brutal attacks which killed over 100 in the country only underlines this rising trend. Although large scale militant activity is on the rise and rightly garners the most media attention, it could be argued that there are few better gauges to indicate the level of renewed violence than those reports coming from Iraqis who worked with the United States. That they are again being so openly targeted points to either a reemergence of armed groups, many of whose members have been released or escaped from Iraq’s rampantly corrupt prisons, or from a sense of invincibility after ongoing attempts by Iraqi security forces to subdue the remaining violence throughout the country continue to fall flat. Weekly, dozens upon dozens of supposed militants are apprehended, yet the bombings and killings persist. At the same time militancy increases in Iraq, many who have left the country for another in the region while waiting for a third country to resettle them are being forced to return. The reasons are varied. Many simply cannot afford to live in these countries anymore. An example of this would be Jordan, where many Iraqis cannot afford housing and cannot find work, and in most cases are not even acknowledged by the government. In the case of Syria, the conflict there is growing ever more dysfunctional and taking on sectarian tones. Iraqis who were welcomed to a degree by the state while Assad firmly held power are now distrusted, and even far away from the borders of Iraq, some Iraqis are under target once again. As these groups of people return, they are finding a growing sense of fear among their fellow countrymen. Here at the List Project we receive letters from inside Iraq daily. 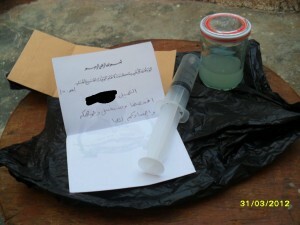 If they are lucky, these Iraqis may tell us of a threat they received that tells them their life is in danger, such as the one delivered by Asa’ib Ahl al-haq, (a Shia militia who ironically had pledged to put down its weapons a number of months before this letter was delivered) which you see in the picture below. Others are not so lucky. In only the last two months we have received notices of three separate incidents that found Iraqi allies murdered by militant groups. All had been kidnapped and tortured. One Iraqi had been beheaded and left in the street, less than a month after he had been forced to return to the country he had been so desperately trying to escape. 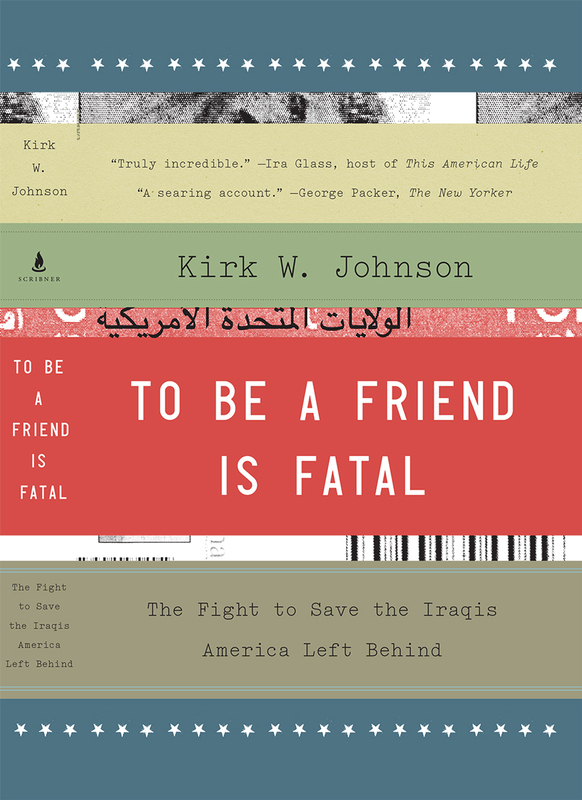 A not so veiled threat anymore: "To the (American) client. Examine this. We will wash your faces and bodies in it." "It" is sulfuric acid.